Instead of manually building an RPM, however, I’ve provided the RPM for download here. Done! Now, close and reopen any applications you may have open. If they can use the new font, like Firefox, and they’re not hard-wiring any specific fonts yet then they should start using the new fonts. For example, lots of websites using MS core fonts and Firefox will start using them if they’re available. There are so many graphics glitches than come down to pixel-width issues of the other fonts because you’re not using the MS core fonts. Firefox slow, hitching or freezing? Check your add-ons. Firefox has been driving me crazy for the last year or two. It’s a great browser. It feels right. It’s add-ons are its killer feature. No other browser has the right set of add-ons and so I’ve never switched. But Firefox has been suffering for a long time and I had no idea what it was until now. I was even relegating Firefox to a few main tasks and using Mozilla Seamonkey (sans add-ons) for miscellaneous surfing. In two previous posts, I thought I had found the fix for firefox slowing down, hitching and freezing. I was wrong but I was on the right track. My first recommendation was to start a new profile. My second recommendation was to manage some advanced settings. The truth is, none of these are required. And the loser is? Firebug! Even though the latest versions of Firebug say it’s disabled unless you open it, something is going on. For me, Firefox would start out somewhat snappy, then slow down as the day progressed and start suffering horribly as the days passed. I’ve been running with all add-ons enabled except Firebug for the past week and I’m happy to report Firefox is still snappy without a single restart. I hope this helps someone who, like me, was going mad trying to figure out why Firefox performed so poorly. In case you’re interested to know which add-ons I use: Clear Cache Button, Remove Cookie(s) for Site, Firebug, Flashblock, Flashbug, Googlepedia, Password Exporter, Define, and a few others I can’t recall at this moment. I can’t express how nice it feels to have a fresh, responsive firefox, and all except one add-on, back for my regular work and surfing! Author MattPosted on February 28, 2011 Tags add-on, block, browser, button, cache, clear, cookie, define, exporter, firebug, firefox, flash, flashblock, flashbug, freeze, googlepedia, hitch, mozilla, password, site, slowLeave a comment on Firefox slow, hitching or freezing? Check your add-ons. Firefox has long had an issue with freezing/hitching. Here’s the fix: Go to about:config, search for browser.sessionstore.interval and set it higher than its default (10000). The units are milliseconds (divide by 1000 to get seconds). I prefer to set it to 60000 or greater. I will grant that I have Firefox on 5 workstations and only one really, really bothered me (my work computer, where I spend more of my computer time). Anyway, if you have the problem here’s the solution that solved mine at work. Firefox or Thunderbird unstable? Try starting a new profile. 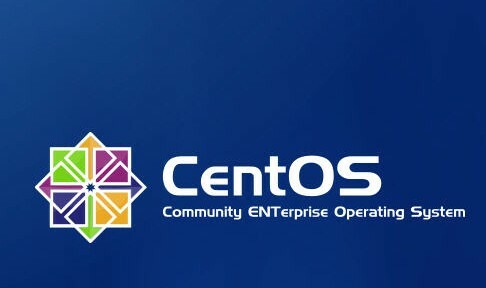 I use Thunderbird and Firefox at work on CentOS 5 w/KDE 3.5. I’m a long time user and gradually I’ve come have a certain distaste for the instability I’ve been experiencing, progressively more and more, over the past few years. I’ve tried many times to find out what the instability is on google. One day as I was searching, I apparently found my answer: Start a new profile. I can’t remember which blog I got this idea from but as I read the suggestion it occurred to me I’ve been carrying around my Firefox profiles and Thunderbird profiles for many major revisions of the software. For example, I’ve carried around my Thunderbird profile through versions 2 and 3. On Firefox, I’ve carried my profile through 1.5, 2, 3, 3.5 and now 3.6. I suddenly guessed that all this baggage was starting to weigh down Firefox. So I wiped my ~/.mozilla directory and started over. Beware, this means your bookmarks are gone, your saved passwords are gone, your history is gone, your cookies are gone, your themes are gone and your extensions are gone, and since the point of this is to start brand new, you don’t want to in anyway bring anything back over to your profile directory at a low level. You want to re-setup in a natural way. First things first: Start Firefox with no profile directory. Configure Firefox’s preferences, etc. Then, restart and import your bookmarks (which you exported from your previous install with the Bookmark Manager). Import your passwords (which you exported with the Firefox add-on Password Exporter). And re-download your themes and other add-ons. Moral of the story? Start a new profile for every major Thunderbird or Firefox release. Author MattPosted on June 23, 2010 June 22, 2010 Tags firefox, mozilla, profile, thunderbird, unstable1 Comment on Firefox or Thunderbird unstable? Try starting a new profile. Firefox is winning me back! I wrote earlier about how Chrome was winning me over. Well, after a brief fling, I’m back to Firefox and I now find it not so bad. The advantages of Chrome just weren’t enough to make me move completely. I tried for a few days at work and at home but in the end I’m back to Firefox. Why? Well, I’m a techie, I have a lot of firefox addons and Chrome, while it has lots, doesn’t have exactly the ones I find I really want to have with me. Also, some of the usability differences between Firefox and Chrome irked me. And there’s no advanced configuration tool (like Firefox’s about:config) to deal with those issues. Send me some feedback on how you’re making Firefox better! Author MattPosted on June 19, 2010 Tags add, advanced, browser, chrome, config, fast, firefox, google, memory, mozilla, ons, performance, speedLeave a comment on Firefox is winning me back!